Jaguar Land Rover has put 1,000 workers at one of its UK plants on a three-day work week because of plummeting sales of diesel vehicles and fears over Brexit. Britain's biggest carmaker said that workers at the plant outside the city of Birmingham would receive full pay while on the reduced hours. A spokesperson said the change from five days to three would help avoid job cuts and run through Christmas. "In light of the continuing headwinds impacting the car industry, we are making some temporary adjustments to our production schedules at Castle Bromwich," the carmaker said in a statement. Jaguar Land Rover is owned by India's Tata Motors (TTM). Sales of diesel vehicles have fallen off a cliff in the United Kingdom, where fears about pollution and a regulatory crackdown following Volkswagen's (VLKAF) emissions crisis have scared off buyers. Diesel sales dropped over 30% in 2017, according to industry group SMMT. 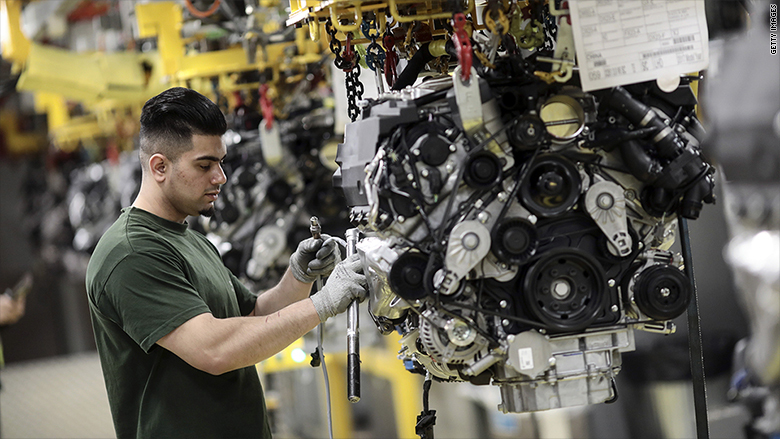 Uncertainty over Britain's separation from the European Union has also prompted some consumers to put major purchases on hold and raised fears in the car industry about massive disruption to supply chains and job losses. "We're facing a number of challenges, and Brexit is one," said a spokesperson at Jaguar Land Rover. "But it's not the only one." The Jaguar Land Rover plant at Castle Bromwich. The slow pace of Brexit negotiations has heightened fears in recent months that Britain may leave the European Union in March without agreeing a transition deal to keep it temporarily in the bloc's single market and customs union. Even if a deal is reached, the terms of UK-EU trade may remain uncertain way beyond that deadline. David Bailey, a professor of industry at Aston Business School, said that Jaguar Land Rover has been especially hard hit by the "double whammy" of fears over Brexit and diesel. "You've got a successful industry in the United Kingdom that had been growing quickly," he said. "That's been put into reverse because of Brexit and diesel." Jaguar Land Rover warned in July that if the United Kingdom leaves the European Union without maintaining a smooth trading relationship with the bloc, it would wipe out more than £1.2 billion ($1.6 billion) of the company's profit a year. A worker at the Castle Bromwich plant. Car manufacturers, which rely on complex international supply chains, are worried that Brexit will lead to new trade barriers and delays at the borders. Jaguar Land Rover CEO Ralf Speth said last week that supply bottlenecks would cost his company £60 million ($79 million) per day. "That is a huge risk," he told Sky News. "We depend on free, frictionless, seamless logistics." 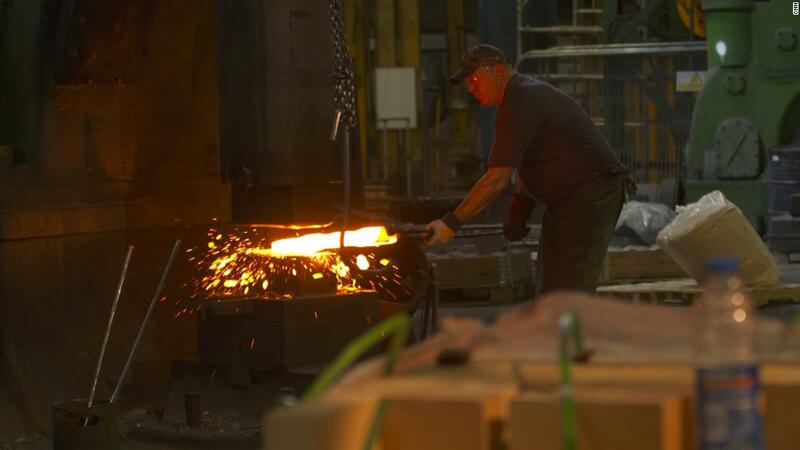 The Castle Bromwich plant, which has just under 2,000 workers, is small by the standards of today's auto industry. And it mostly produces saloon cars that have fallen out of fashion. Bailey fears the plant might not survive a messy Brexit, with production potentially shifting to Slovakia, an EU member. 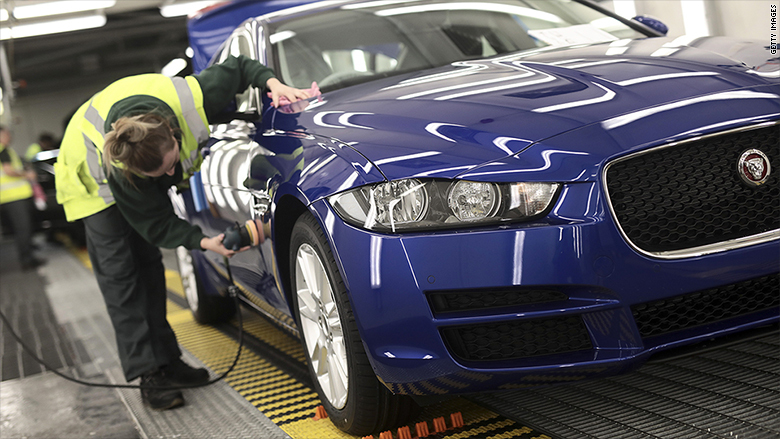 Jaguar Land Rover said in a statement that it was committed to its UK plants.